The Pridwin Hotel and Cottages is a classic all-wood American resort hotel that has been providing guests a unique experience on Shelter Island since 1927. The nearly 10-acre site on Crescent Beach was selected for its protected waters, gentle bay breezes, and for its breathtaking water views. A seasonal hotel, the Pridwin opens in May and is in full swing from the last weekend of June through Labor Day. 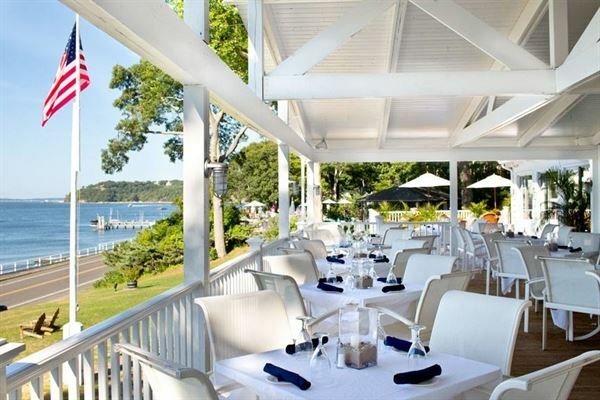 The Pridwin Hotel offers Shelter Island’s most spectacular location to you and your guests, for an unforgettable day of celebration. A classic Gatsby-era resort situated on eight acres of waterfront property, the Pridwin provides a secluded and romantic setting for your destination wedding. Enjoy our relaxed atmosphere, beautiful water views, and unsurpassed sunsets as you dine and dance the evening away amidst family and friends.